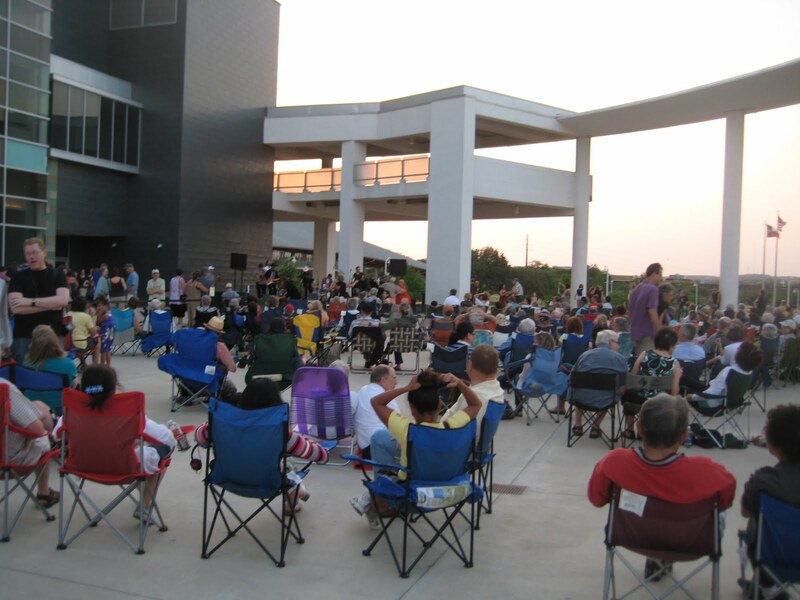 (Free) Live Music Capital of the World! Austin lived up to the title, Live Music Capital of the World, with lots of free music last weekend! Thursday the Austin Symphony celebrated their centennial anniversary with a special program featuring violinist Itzhak Perlman. 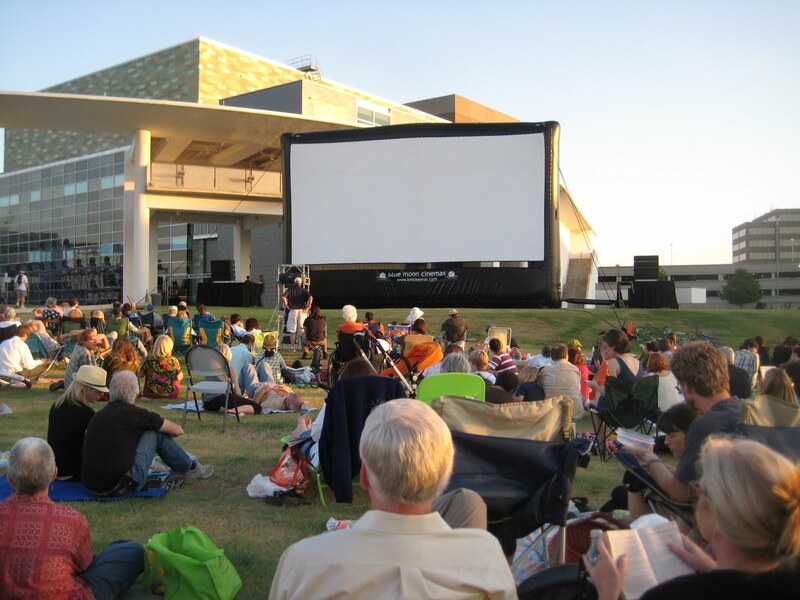 A large screen was set up outside The Long Center for those of us who were too cheap or too late to buy a ticket. I took the following photo as the crowd was still gathering and while it was still daylight. Several hundred people were watching by the time Itzhak played after intermission. His performance of Max Bruch’s Violin Concerto No. 1 was outstanding! The inside crowd gave him a 15-minute standing ovation and even us outsiders jumped to our feet for a while. I have only one complaint (besides not being inside): the closed-circuit camera was blocked when the inside audience stood up. So we couldn’t see the stage until everyone inside sat down again! Saturday during a walk around Lady Bird Lake, we watched a rehearsal for the Fusebox Festival. 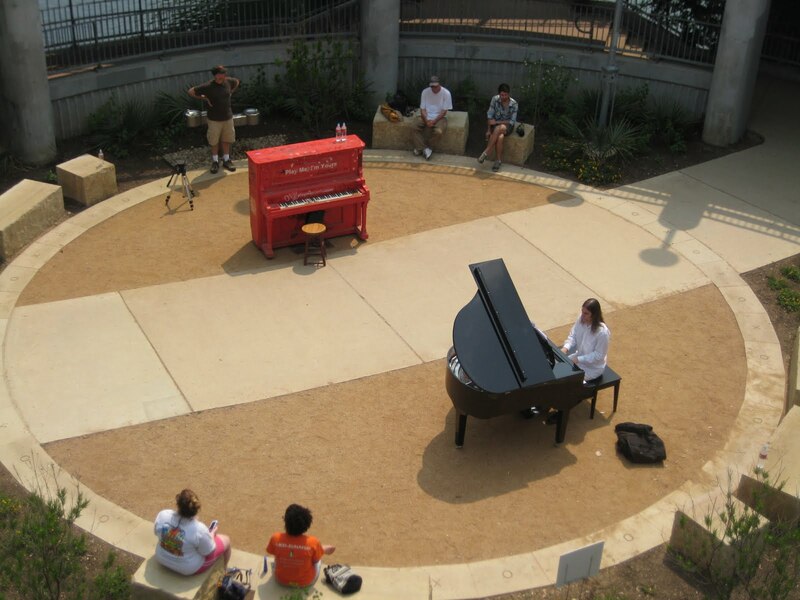 Three pianos were rolled up the circular ramps of the Pfluger (pedestrian) Bridge and two were in the center. The unusual location presented quite a challenge to the musicians. The poor pianist next to noisy Cesar Chavez Street couldn’t even hear his own piano. Hopefully they worked this out before the performance later that evening. We missed the actual Fusebox performance to see The Decemberists at Stubb’s…a great show but certainly not free! 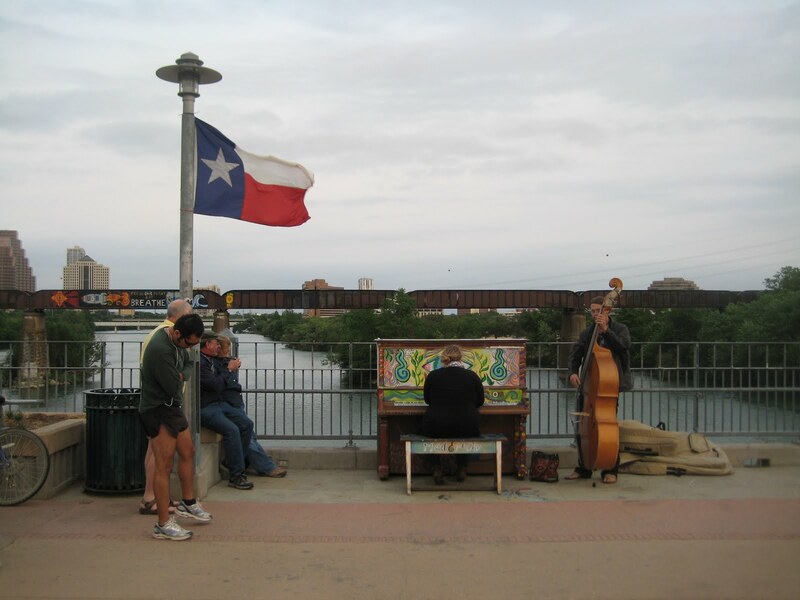 Sunday evening featured simultaneous concerts at the Play Me, I’m Yours pianos which are scattered around downtown Austin. These “Playin’ for Pinetop” concerts honored Pinetop Perkins, a famous blues piano player who retired in Austin and died last month at the age of 97. 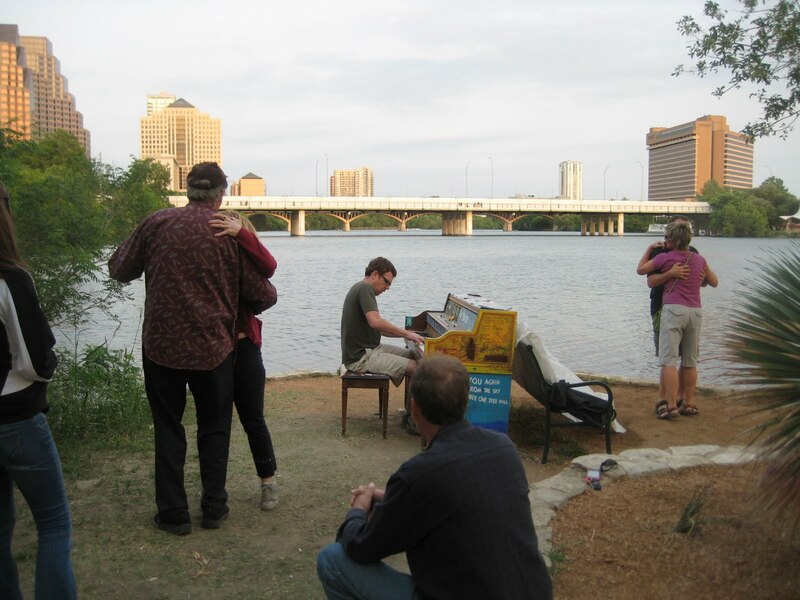 Bill and I started with the Austin City Hall piano and then slowly made our way around Lady Bird Lake. We listened to one or two jazz/blues songs at each location. Other instrumentalists (guitar, string bass, trombone) played along with some of the pianists. 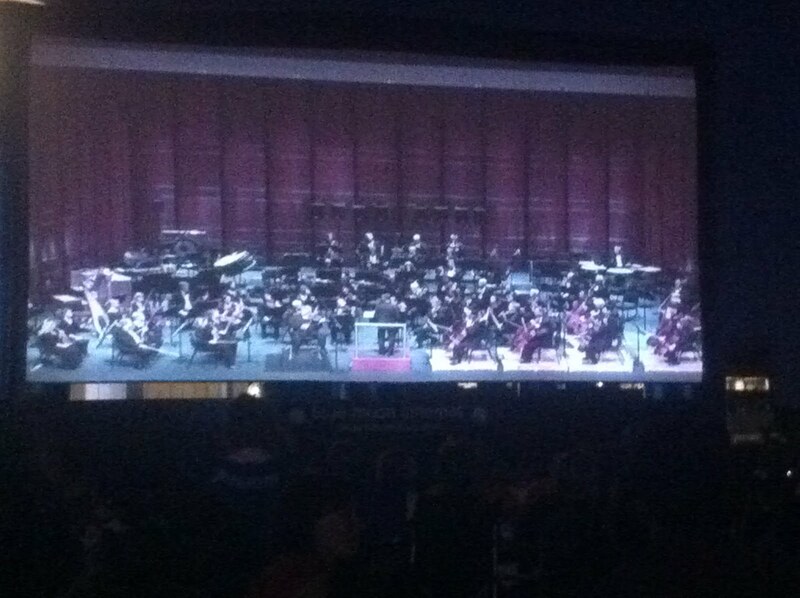 A cold front had just blown through so the audiences were sparse.